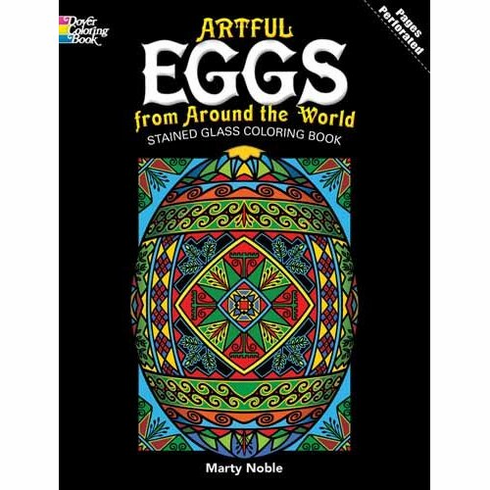 Enjoy coloring eggs all year round with these 16 stained glass images and their international range of decorative methods. Styles include pysanky, the Ukrainian tradition of embellishing Easter eggs with a technique that uses beeswax; washi, a Japanese art form that employs handmade paper; and the famous jewel-encrusted FabergŽ creations for the Russian czars. After coloring, place the images near a light source for brilliant stained glass effects. Author/Editor: Marty Noble. 32 pages. Dimensions: 8-1/4 x 10-7/8.